With custom stained glass, Katy Texas residents can add style, beauty, value, privacy and much more to their homes and offices. This Houston suburb is filled with residents who love style and design. Residents love to visit Houston and take in the culture, but they also love to be inspired at the Katy’s very own Katy Contemporary Arts Museum or shop at LaCenterra at Cinco Ranch. 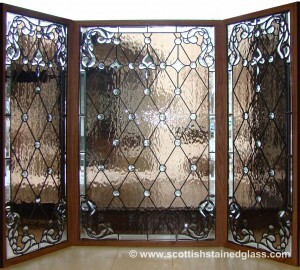 When it comes to home or office décor, that’s where we come in with our custom designed and hand crafted stained glass. Our stained glass windows and doors are available in any style, design, and color palette our clients like. We work with each client one on one to ensure that we understand and can build exactly what they are looking for. In Katy TX, stained glass is phenomenal for adding value, uniqueness, privacy, elegance, style, sophistication, and of course, beauty to any space. We do both residential and commercial stained glass. 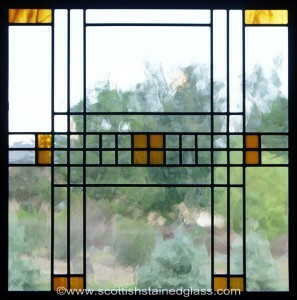 For Katy TX homes, we can build any size or shape stained glass for any window or door from the entryway to the bathroom, from the basement to the attic. For Katy TX offices and other commercial spaces, we can create colorful stained glass signs, windows and doors that afford a high end exclusive look, as well as stained glass lighting, hanging panels, backdrops, ceilings, and skylights. We love to work with clients who think outside the stained glass box as much as with clients who want something classic and traditional. Our custom process starts with an in home visit with each client. This allows our designers to discuss ideas, find out what the client is thinking of, offer suggestions, take measurements, and get the whole design process going. Once the client has decided upon style, pattern, colors, or types of glass, we take the project back to our Houston studio and assign it to one of our local stained glass artisans to build. We also offer detailed religious stained glass artwork for the churches, chapels (including home chapels and private chapels), cathedrals, and temples of Katy TX. Our religious stained glass is custom designed to the clients needs. It can be wholly traditional featuring scenes from the Old or New Testament, icons and saints, or it can be something less literal, more modern, but just as inspirational and awe inspiring. Katy is known as the “City of Churches.” Many of its churches already have gorgeous stained glass, such as The First Baptist Church on Pin Oak Road. When it comes to religious stained glass, or any older stained glass, it might need repair or a full restoration. We have extensive experience in both, and are happy to advise you as to what your antique stained glass might need to bring it back to its original stability and beauty. We hope that you will contact us today to set up your no-cost, in-home or office design consultation and turn your stained glass ideas into stained glass realities. Please give us a call, an email, or contact us through our online form.